Guest: Mark Whittington. Topics: Space Budgets, policy, & politics. You are invited to comment, ask questions, and discuss the Space Show program/guest(s) on the Space Show blog, http://thespaceshow.wordpress.com. Comments, questions, and any discussion must be relevant and applicable to Space Show programming. Transcripts of Space Show programs are not permitted without prior written consent from The Space Show (even if for personal use) & are a violation of the Space Show copyright. 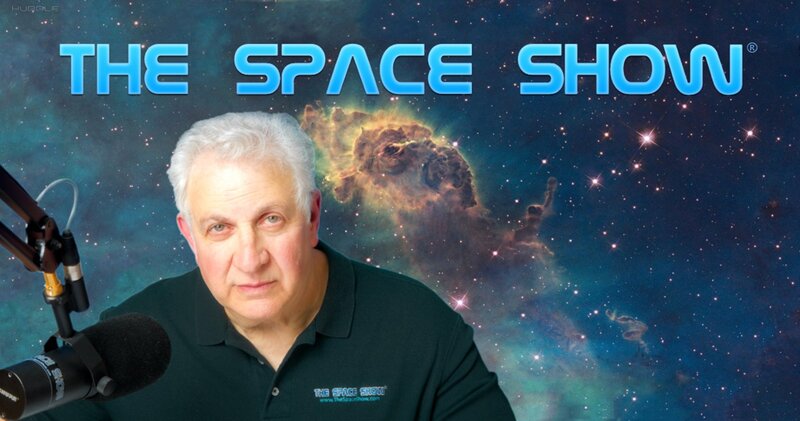 We welcomed Mark Whittington back to the show for this 2.5 hour wide ranging discussion on space budgets, the economy, space policy and space politics, plus economic issues facing the nation and others around the world. We also talked about space perspectives of all those running for president including President Obama and the Republican party challengers. Mark talked about two article he wrote that were pertinent to our discussion. These articles are (1) "Moon Base Supporters Struggle to Justify the Project:" www.examiner.com/space-news-in-houston/moon-base-supporters-struggle-to-... and (2) "A Lunar Exploration Reading List for Mitt Romney:" www.examiner.com/space-news-in-houston/a-lunar-exploration-reading-list-.... In our first segment of 45 minutes, we talked about Texas space politics & redistricting, the Johnson Space Center, & the proposed FY 13 budget. Mark suggested Congress would rewrite most of the budget but that the Senate would likely not pass a budget so we would end up on CR. I asked Mark how that would lead to programs being cancelled such as ExoMars if we are still on CR as those programs are embedded in the CR from year to year. Mark described the process through administrative acts by NASA, Congress, or the President re cancellation, and what the Appropriations Committee would have to do to avoid them. For the most part, more money would need to be found for NASA but that was not likely. Mark talked about what constitutes commercial saying that for something to be really commercial, it has to be able to fail. We compared today's commercial space programs to gov. programs in terms of Mark's criteria. Listeners asked about SLS & Orion, wondering if it & when SLS would be cancelled. The idea of a lunar base was discussed in light of the comments made a few weeks ago in the Florida debate by Newt. Mark also talked about what he thought might be the space policy of the other candidates though not that much is known other than for Newt, Mitt, and President Obama. Mark talked about cutting out other budgetary items to make room for a quality space program & he highlighted the high speed rail program. In our long second segment, Marshall called with a question about the original Mercury astronauts still alive. We talked some about human factors, microgravity, and life support issues. Listeners asked about the Chinese space program & their military buildup. Here, I referenced the recent congressional testimony of Ronald Burgess, Director of the Defense Intelligence Agency. The article I referenced is at http://bigthink.com/ideas/42630. Mark spoke at length about exploration, citing his favorite history story involving Prince Henry The Navigator of Portugal. Jim asked Mark that if he believed commercial space was the best path forward & that SLS was a bad idea, how would he go about getting more support for commercial space even at the expense of SLS. Mark offered some concrete ideas in response to Jim's question. John from Billings sent in a few notes & then later called to talk about why there is such an argument about SRBs as compared to liquid rocket motors. Challenger was mentioned along with Constellation but mainly Mark said that people's behavior tends to find ways to support their beliefs. Terry, another Texan like Mark, called to ask why Sen. Hutchinson so strongly opposes commercial space. Mark offered a pretty good answer. Risk taking, more on SLS, Dream Chaser & the CST 100 were discussed along with the new project, Stratolaunch. As our program drew to a close, I asked Mark to summarize space policy for 2012 which he did do but then more questions came in. Becky wanted Mark to connect the dots vis a vis our economy & how this might impact NASA & all space development. This led to quite a little economic discussion with Mark, myself, and Dr. Jurist who called in about that time. As usual, I went off on my rant about space as an investment, not an expense. Jack got in the last word asking for three key events impacting space for 2012 other than the election. Mark said the upcoming Space X flight, what Congress does with the budget, and the planned Chinese mission later this year. In his concluding remarks, Mark talked about the economic options facing the country & he left us with a few points to consider. He urged us to participate in Town Hall meetings and ask the candidates space questions. If you have comments/questions please post them The Space Show blog. Marks blog, Curmudgeons Corner, is at http://curmudgeons.blogspot.com.